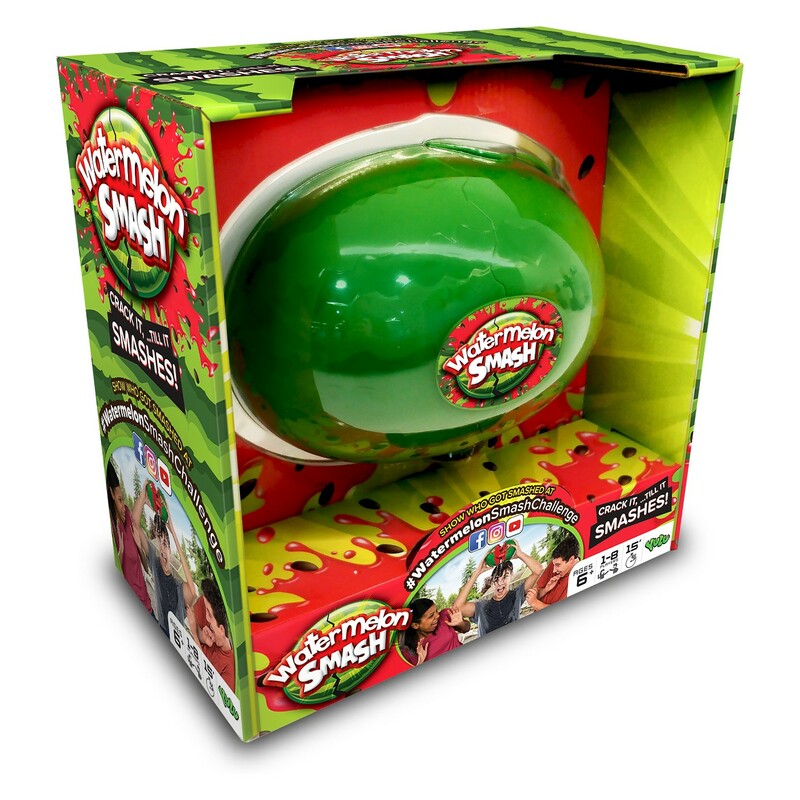 Parents know a toy that will truly keep kids busy is worth its weight in gold. When the little ones are out of school for the summer, they have plenty of free time on their hands — so how do we fill it without relying on go-to screen crutches for three whole months? After all, there are only so many times you can hand out ice pops or spray kids with the hose as a distraction tactic. 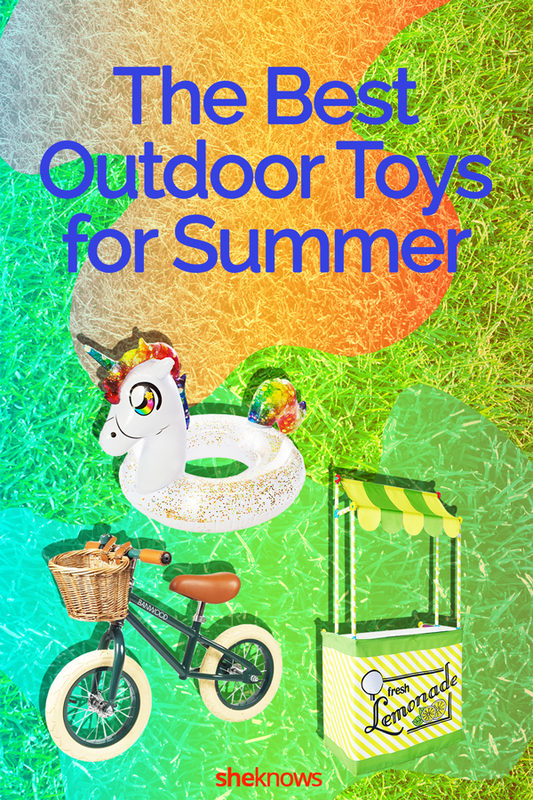 But don't start anticipating a summer boredom spiral just yet, because we’ve rounded up some of the coolest new toys that are guaranteed to help parents prepare for the many sunny months ahead in the great outdoors. 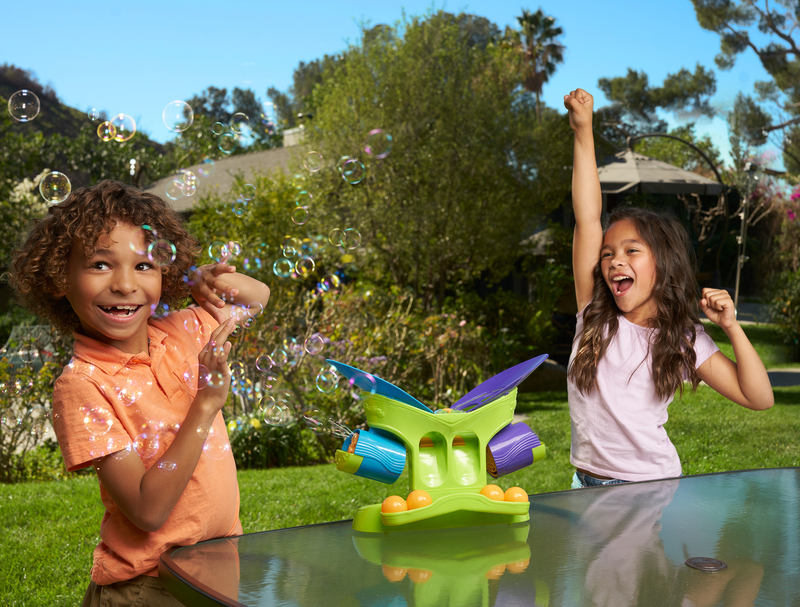 From a practical lemonade stand to a giant inflatable dinosaur to a wild water game and even a pirate ship sandbox, there is no way kids can claim boredom with any of these awesome playthings around. Take a look through our list and get ready to liven up your entire family's summer — or at the very least stock up for future birthday gifts. But, warning: You may blink and discover it's September already, because time flies when you're having fun. 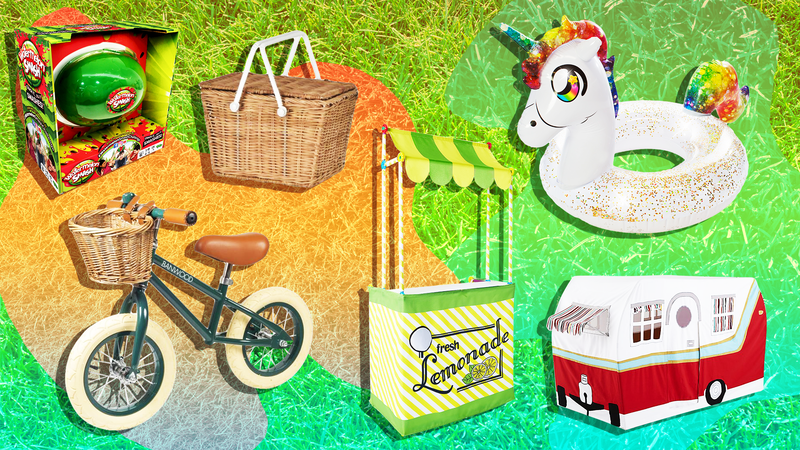 Kids can work a lemonade stand in style with this cute setup from Target. (Note: You’ll need the Antsy Pants Build and Play kit to assemble.) 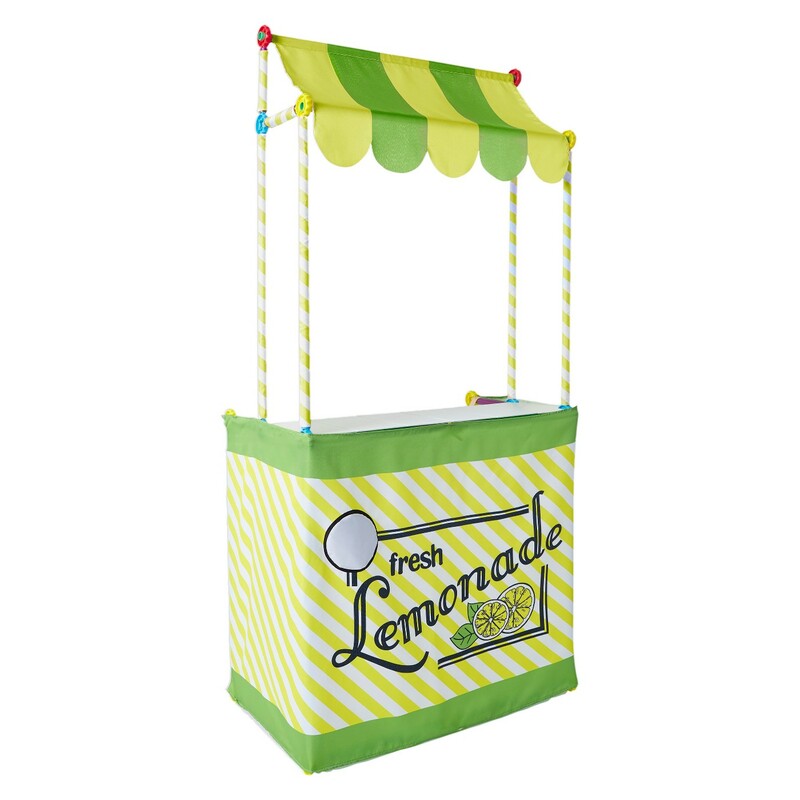 The lemonade stand kit comes with a write-and-erase sign, pole sleeves, directions, fabric awning and counter. Set it up out front, add some lemonade, and let the little guys earn their keep. Just add water to this detailed aquarium set for hours of imaginative fun. 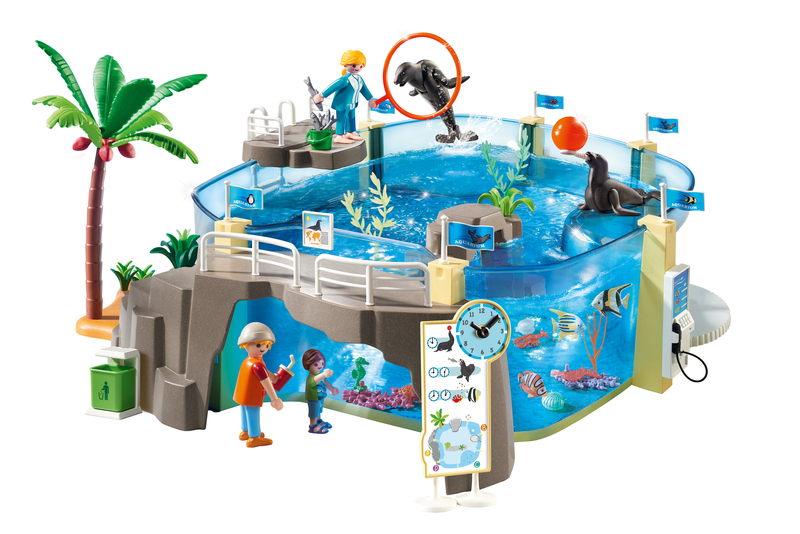 Movable sea lions can splash and play with the included trainer, and the Playmobil aquarium also comes with an observation deck, a viewing cave, parent and child figures and more. If sea life isn’t your child’s thing, check out the new Playmobil The Explorers line, which features an exciting mix of jungle expeditions and dinosaurs. Not quite ready for a big-kid bike? Help kids learn to balance on this beauty. Best for ages 2-1/2 to 5, this Banwood balance bike is ready to ride. 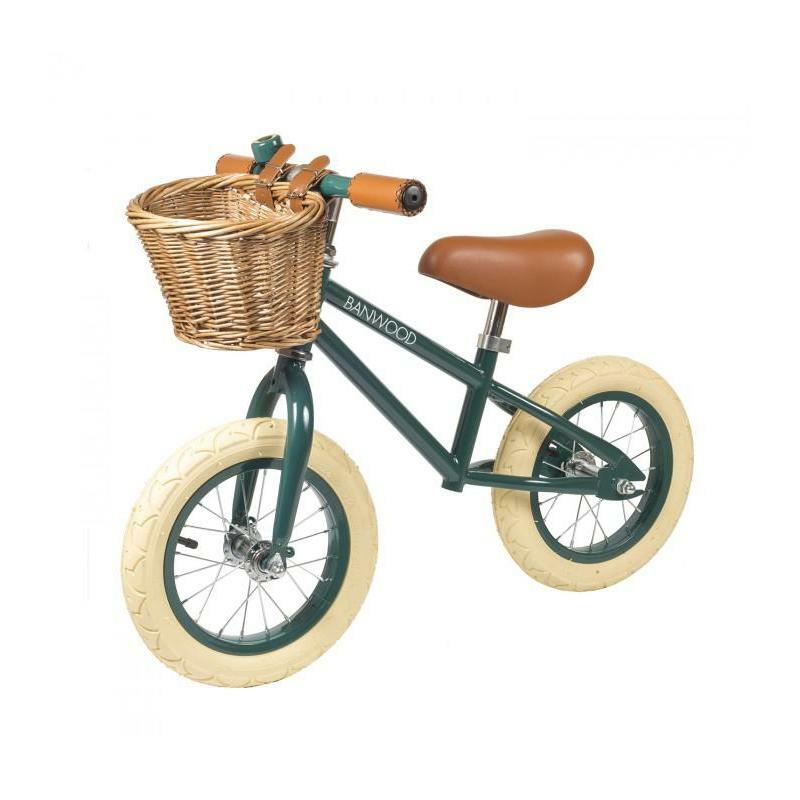 It features an adjustable handlebar, plus adorable accessories, such as a wicker basket and a bell. What kid wouldn’t want a 7-foot-tall dinosaur in their yard? Especially one that will cool them off in the summertime. Inflate this green guy and hook up the hose, and he’ll shoot water from his snout. This is one toy you'll actually want as yard decor. 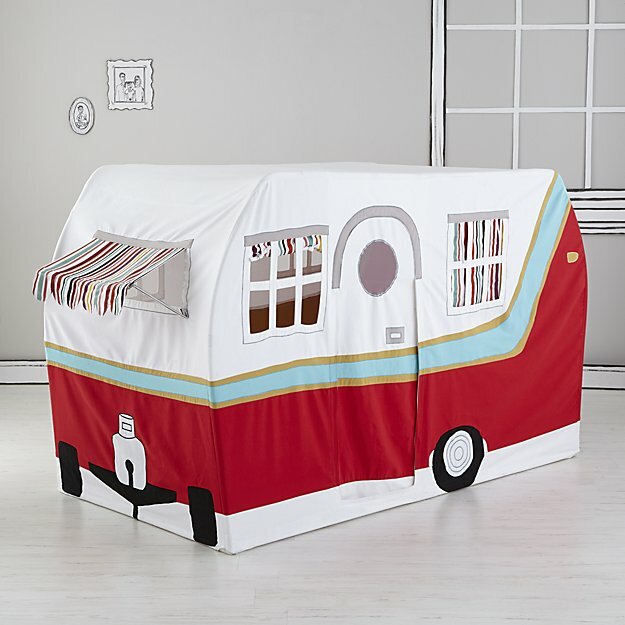 It’s a play tent that looks like a vintage camper! It's so much fun for playing pretend, and it features cute details including curtains and an awning. 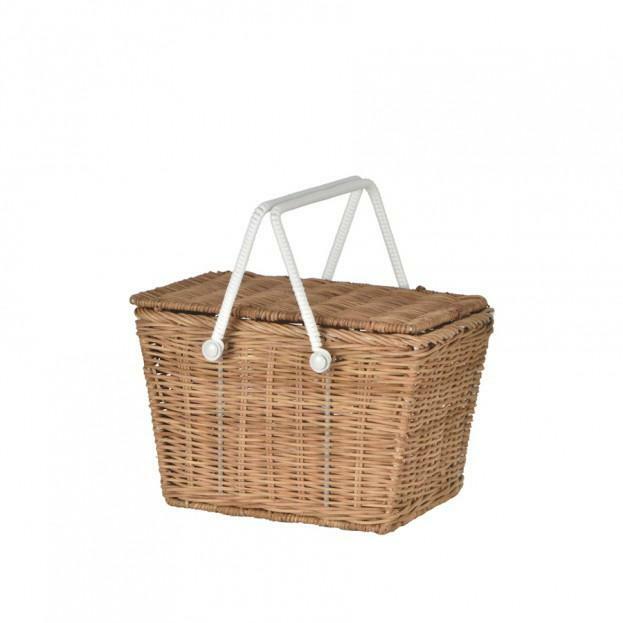 A sweet summer basket to fill with treasures or a picnic lunch, the Piki is fun and functional. And it even looks chic strewn around the house (something parents will appreciate). 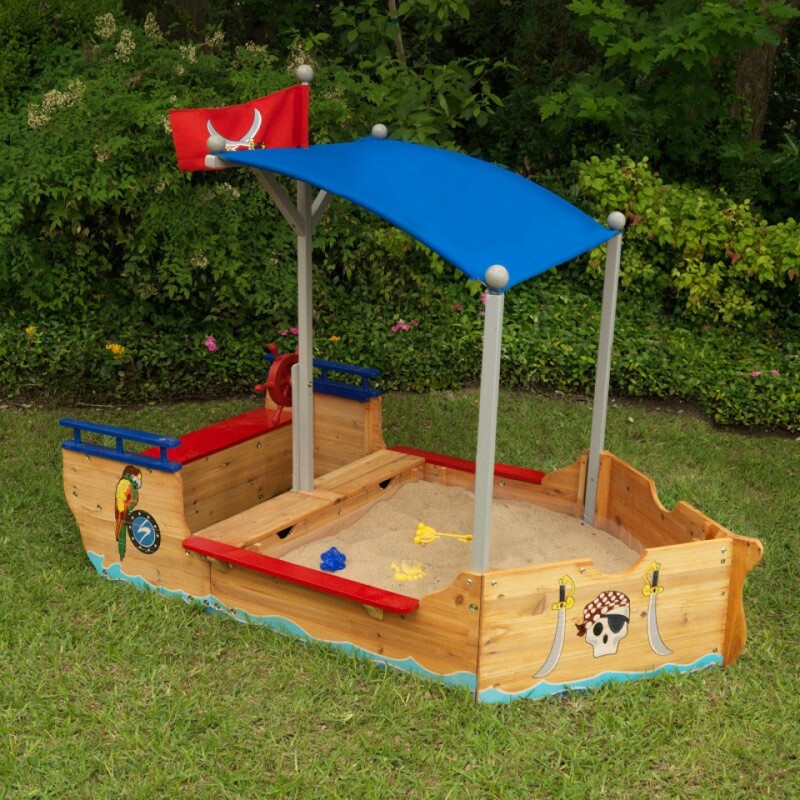 This gem from KidKraft isn’t just a sandbox; it’s a pirate ship too, of course. A canopy keeps little ones cool while they play, and the sandbox features storage seating, a liner, a steering wheel and plenty of fun pirate detailing. The newest floaties from Pool Candy sparkle in the sun. 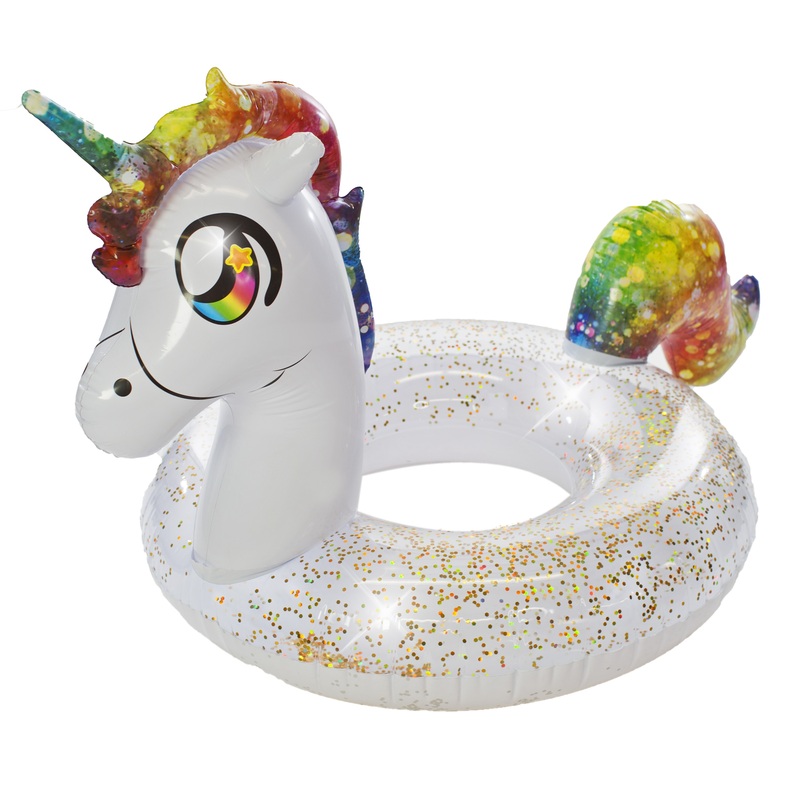 What kid could resist this magical inflatable unicorn? It’s bedazzled with holographic glitter! It's best for ages 6 and up. Pin it and get to playing.